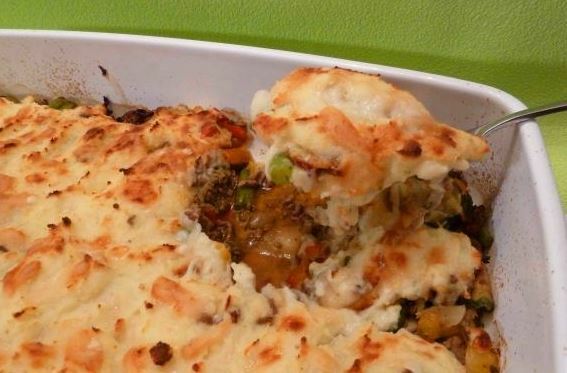 I love shepherd’s pie, but mostly I love the idea of it because I rarely make it. The other weekend, I finally decided to look up an easy version of the recipe and I found this one from Food.com. I cheated and used packaged mashed potatoes and it worked fine. Real would be better but that’s a lot of work. Preheat oven to 375°F Brown meat in skillet and drain.